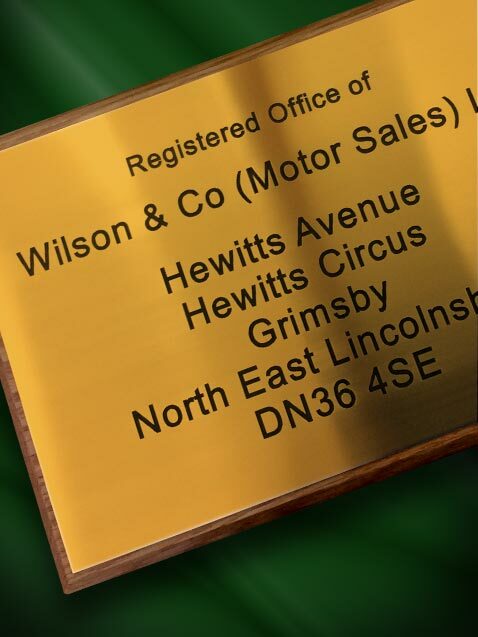 Our specialist engravers have many years experience in creating gold plastic plaques for all occasions. Gold Plastic is a fantastic alternative to metals. It stays looking as good as new for many, many years, and is often used as an alternative to brass. With fast turnaround times, you can entrust your design to our in-house design team. They will send you a digital proof of your plaque before it is engraved to ensure you are completely satisfied. 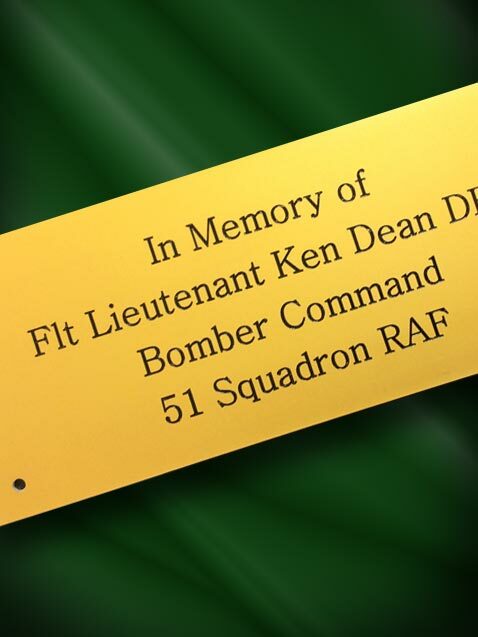 Our portfolio includes many plaques unveiled by celebrities and members of the Royal family. Therefore, you can have complete peace of mind that your plaque will be of the highest quality. Manufactured from the finest materials. which can optionally be mounted onto solid light oak. 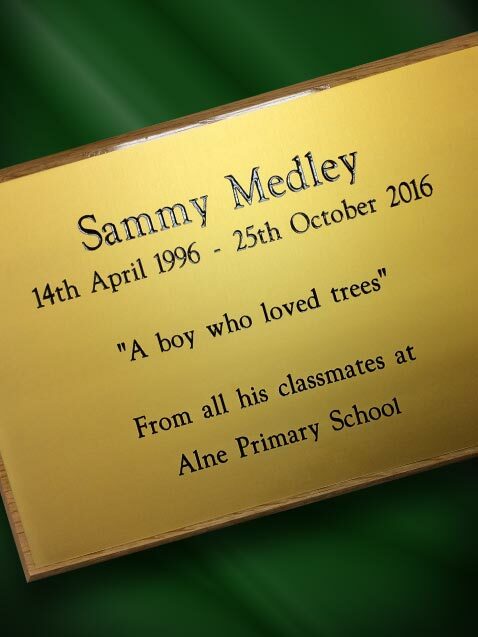 This can then be stained to your bespoke requirements. We deliver UK wide, so call us to discuss your requirements on 01904 400800.